Each Jiffy Lube Signature Service Oil Change includes up to 6 quarts of Mobil motor oil and a new oil filter, plus these extras: vacuum interior floor, check tire pressure, windshield washer fill-up, check all fluid levels (when applicable). 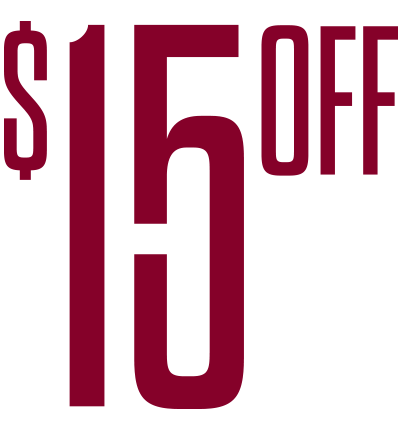 Offer valid for $15 off conventional or synthetic oil change. $44.99 regular conventional oil price, synthetic prices vary. See store for details and pricing. Jiffy Lube Signature Service Oil Change offer valid only at participating service centers. Not valid with any other offer. The Jiffy Lube design mark and Jiffy Lube Signature Service are registered trademarks of Jiffy Lube® International, Inc. © 2018 Jiffy Lube® International Inc.